Commercial Fitness Superstore is Arizona’s best source for Paramount Fitness Commercial Racks & Cages. Commercial Power Racks and cages are an essential piece of equipment for any fitness facility catering to athletes, bodybuilders and power lifters. Paramount Fitness’s racks & cages are designed to allow free weight lifters to workout safely and effectively without the need for a spotter. Whether you’re looking for Smith Racks, squat racks, power cages, or power racks, Paramount Fitness’s line of cages & racks are the perfect solution to meet your facilitiy’s needs. 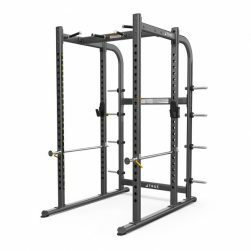 The Paramount Fitness XFW-7900 Power Rack features 23 available adjustment points at 3” increments. 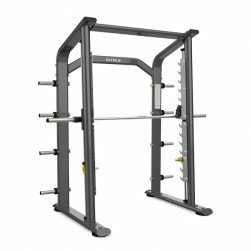 Additionally, the XFW-7900 Power Rack comes equipped with fully adjustable bar catches, catch rails and an integrated pull-up station. 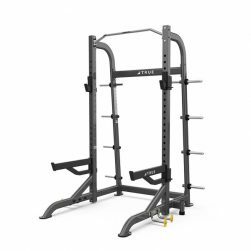 Perfect for commercial gyms, fitness centers, hotel locations and small studios, the Paramount XFW-8300 Dual Sided Half Rack from True Fitness is the perfect rack. Workouts can be completed quickly when two athletes can train simultaneously. 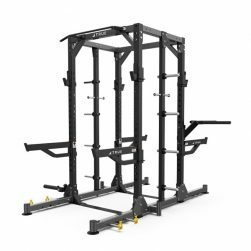 The new XFW-6800 Smith Machine from TRUE Fitness Technology features an open frame design with elevated head clearance, providing easy access and movement of utility benches.